Parking – Streetside parking only, and limited due to driveways and such. Probably pretty crazy in the summer. Benches? None on the trail, but a few just off the trail. 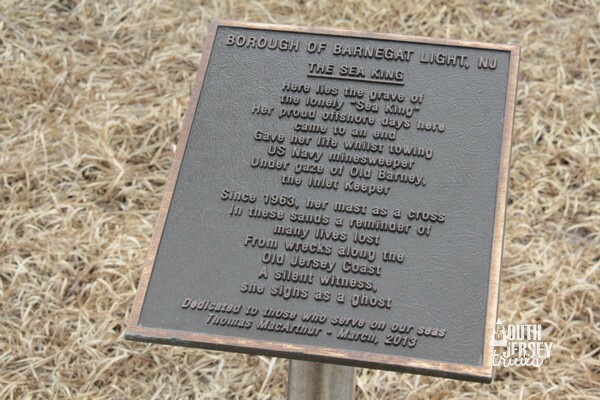 Markings – None, but interpretive signs make it pretty simple to follow. 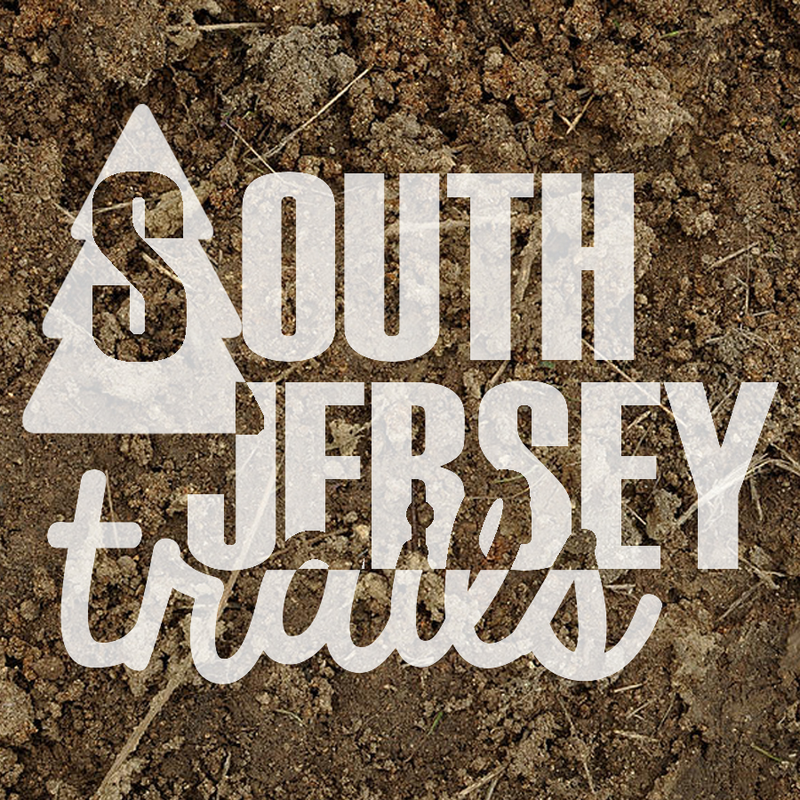 So for those who missed it, I started a little South Jersey Trail Facebook Group a bit under 2 months ago. It’s quickly grown to a size where many people don’t even realized it’s associated with a blog (really, it’s better that way). 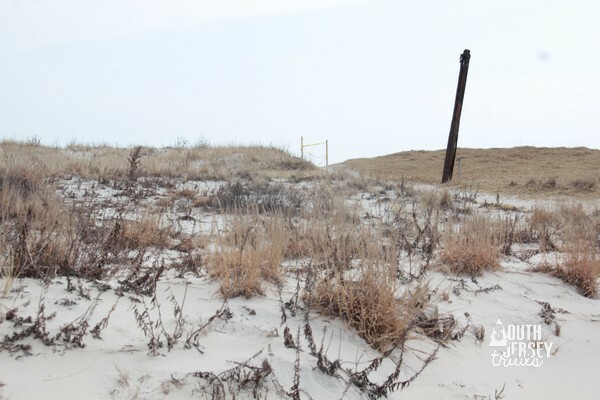 One of the very first posts was Rachel of Rachel Lynn Rita Russo Photography, who posted about a nature trail on Long Beach Island that went near a shipwreck. Well, completely not-at-all-coincidentally, the Wife, The Pres, Tree Rider, and I headed down the first chance we got to check this one out. And after about twenty minutes of circling, which eventually led us to start in the wrong spot, we realized that finding the trail was the hardest part. 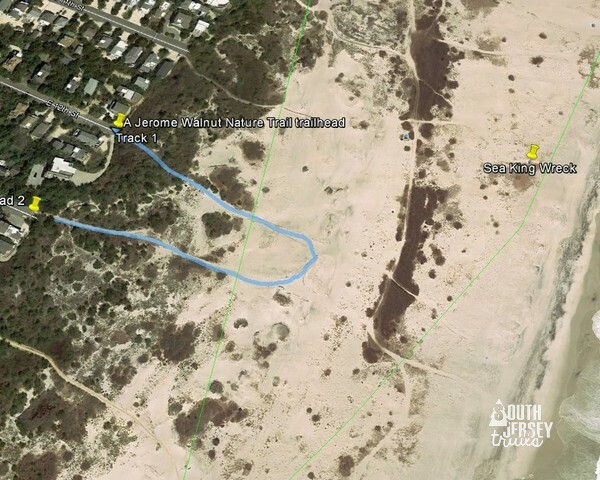 If only there was a blog that could tell us where the trailhead… oh, it’s 12th or 13th Streets. Problem solved. Anyway, the way should should do it (not the way we did it) is to go to 12th Street and park. 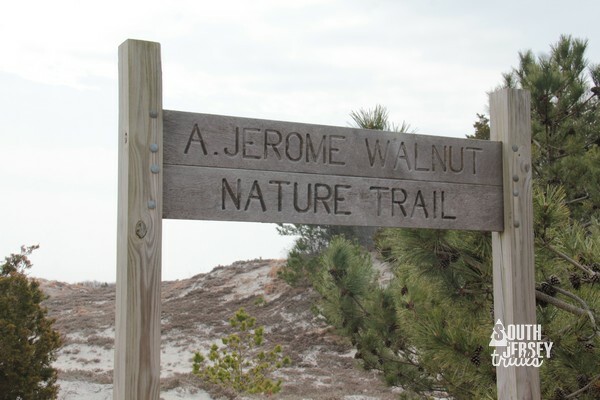 Then walk in on the boardwalk onto the A. Jerome Walnut Nature Trail. 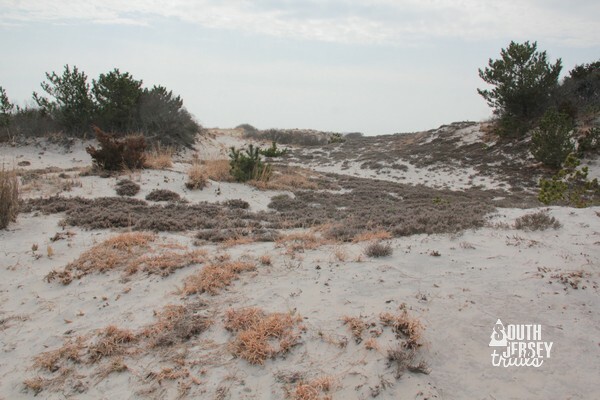 Follow the trail around, admiring the dunes, until the trail gets ready to actually climb a dune. 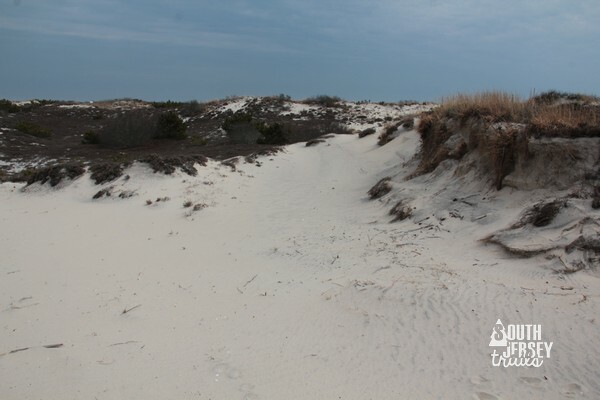 When you reach that part where you would climb the dune, this is a great spot to wander off the trail toward the wreck of the Sea King. 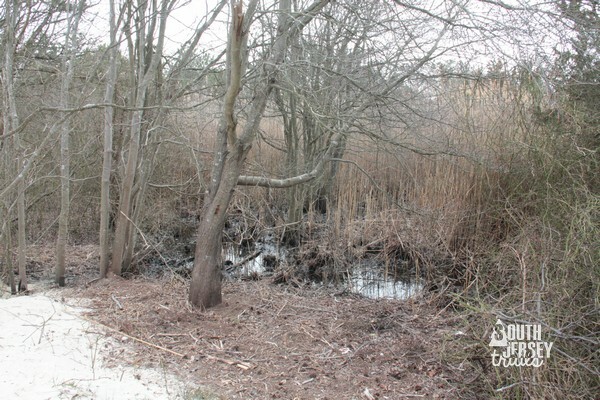 (don’t worry, you’ll come back to finish the trail). 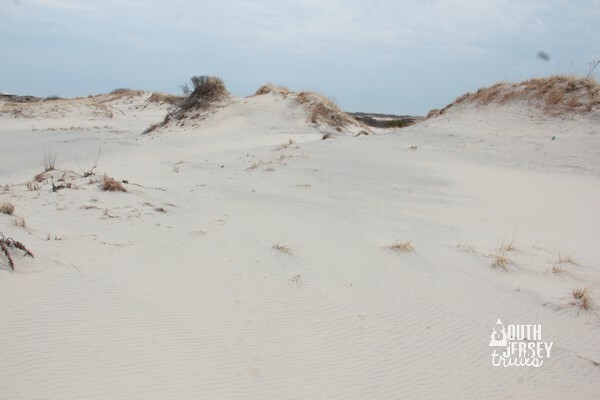 Instead of going left and climbing the dune, take the right fork and head gently downhill to the intersection with the sand road. From there, you’ll turn left on what is obviously a dirt road. 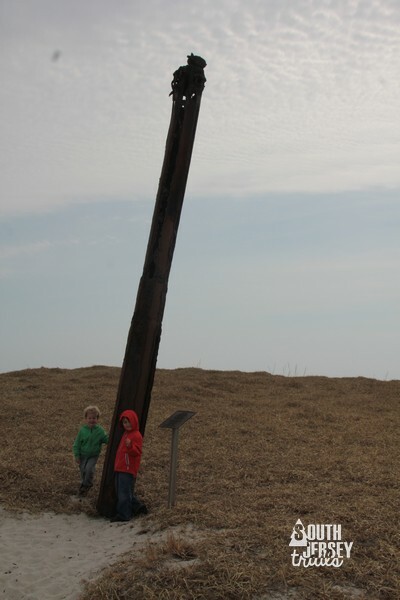 You’ll walk down this for about a tenth of a mile, then turn right and walk directly out to the mast. 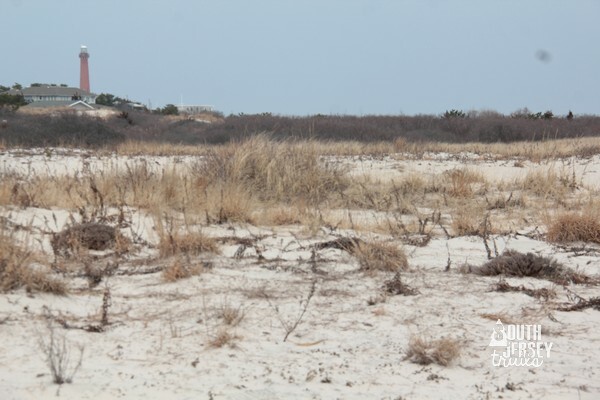 You’ll be able to see the mast sticking above the sand pretty much straight ahead, up against the dune line for the ocean. 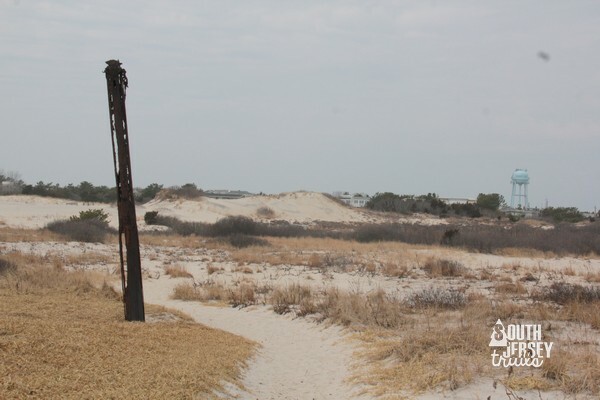 We, however, are going to do the trail right in this post, because then no one will have to know that we had the hardest time figuring this one out. No one. Will ever know. No one. 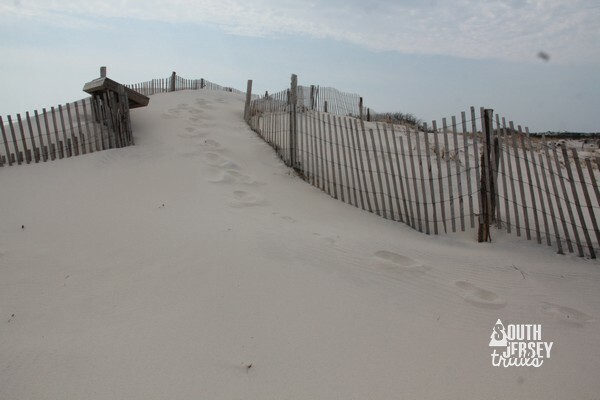 Anyway, climb the dune. This is actually pretty tough, but luckily its a lot of effort for not a lot of time. And the view at the top is great. You can see the mast of the Sea King sticking up in the distance. 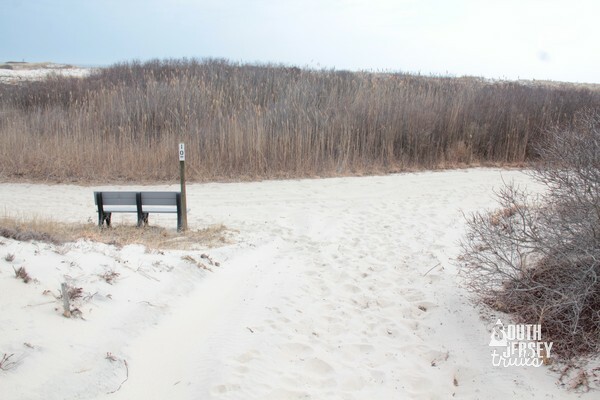 Now that you made it to the top of the dune, the trail will immediately drop down to the bottom of the dune. Of course it will. 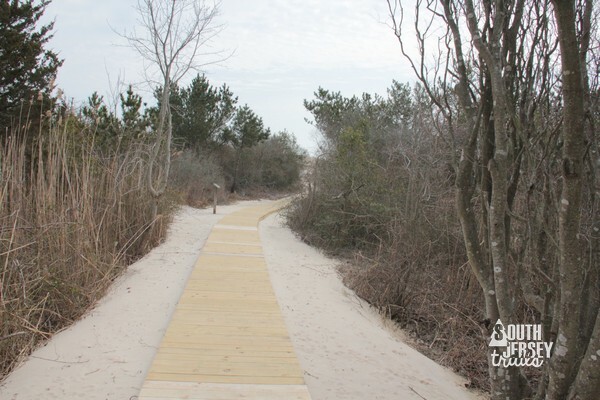 You’ll then turn left and walk down the sand path to the boardwalk. 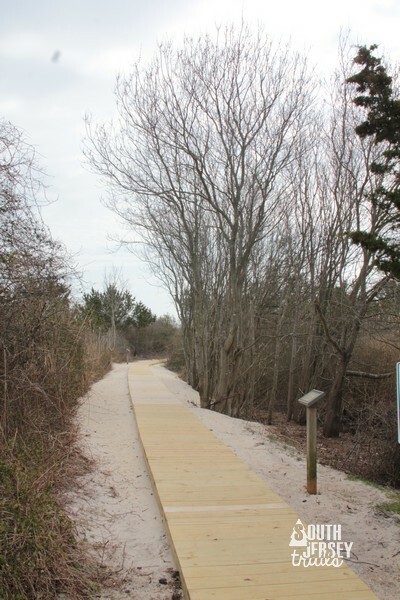 Once you hit the boardwalk, it’s less than a tenth of a mile of super easy walking. 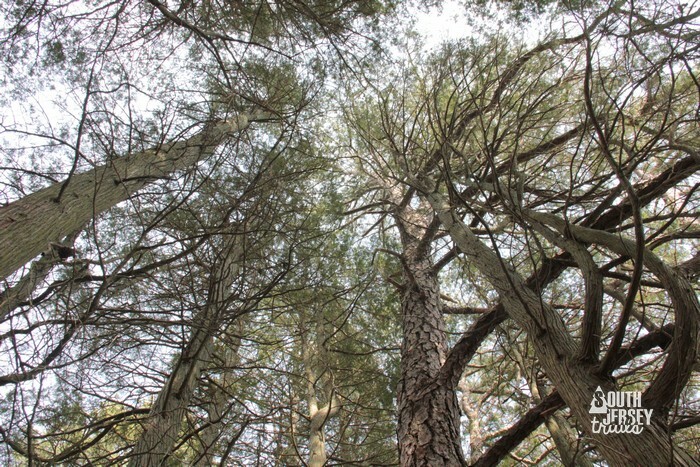 Admire some stunted pine trees along the way, and soon you’ll be emerging at 12th Street. You’ve made it a grueling 0.25 miles! Yay! Heading in at 10th Street. 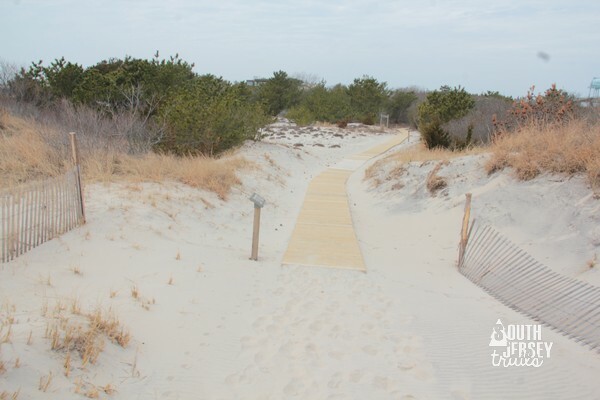 There are boardwalks at EVERY block, because summer beach access. Pretty dunes and stormy clouds no matter which road we headed in on. For the record, at this point we had long realized we weren’t on the trail, but we kept going anyway. Excited to find a shipwreck. The trails all have what street they head up to listed at the intersections, which is really helpful. Heading down the dirt road toward the turn for the Sea King. 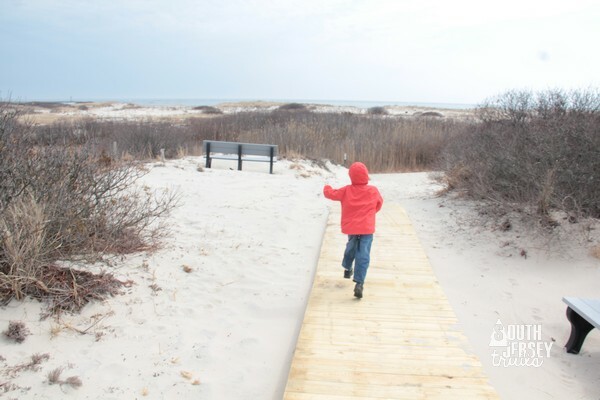 Turning at the bench to walk toward the shipwreck. 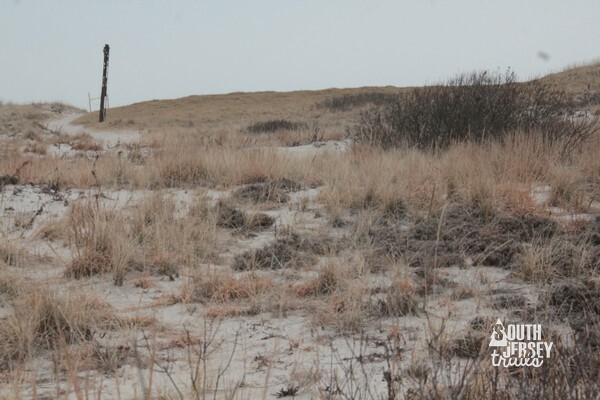 You’ll be able to see which way to go, there are very few ship masts jutting out the dunes in these parts. Views of the lighthouse behind us. Few things are as poetic as a shipwreck. 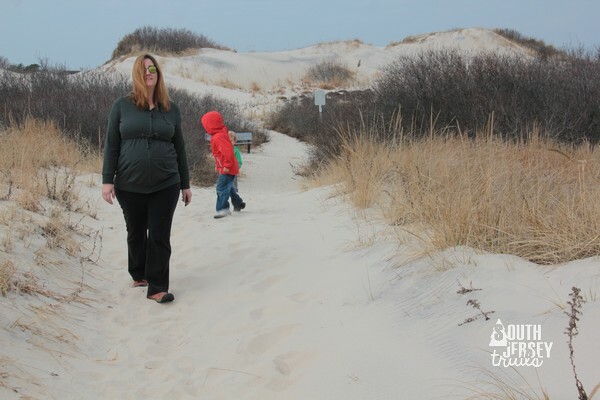 Dune son the way back. Back to the intersection. 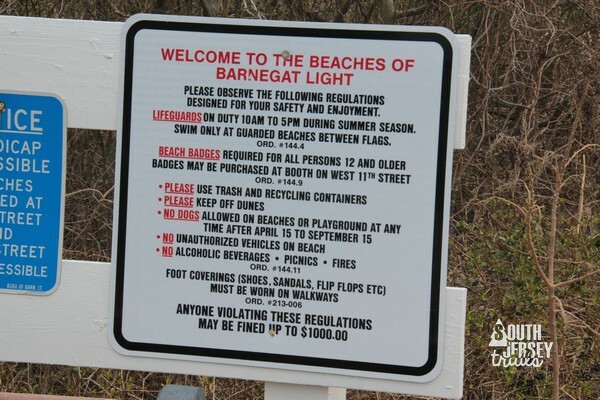 We headed left here to get to the beach. Mast from the dirt road. 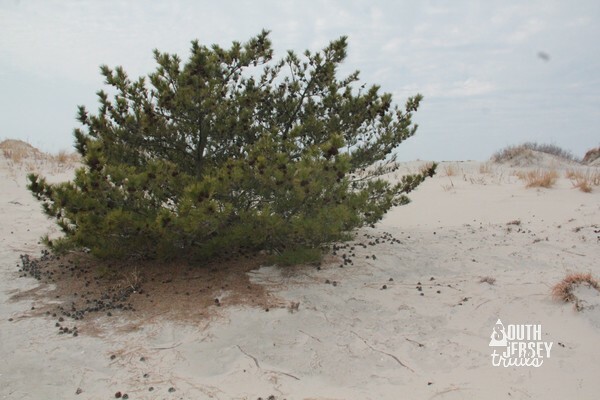 Cool pine tree… err bush… no, I think tree… thing. 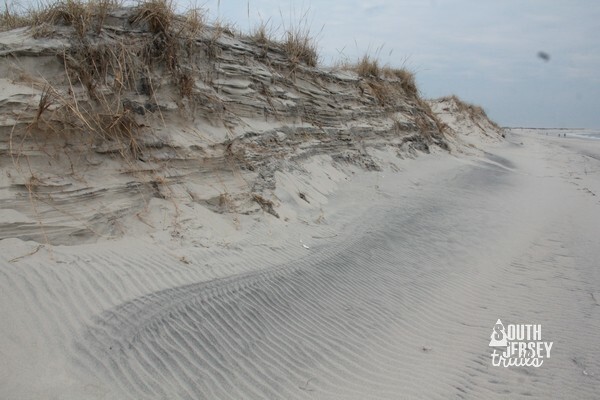 Erosion makes for good pictures. You can see the jetti off in the background. Yes, you can totally walk on it. 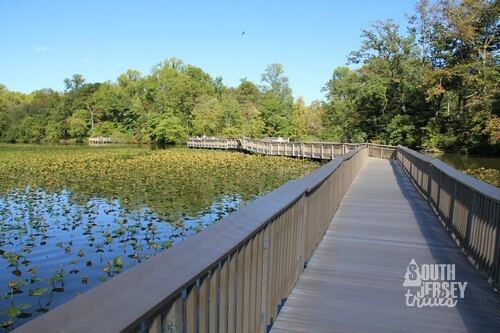 Turn for the nature trail. 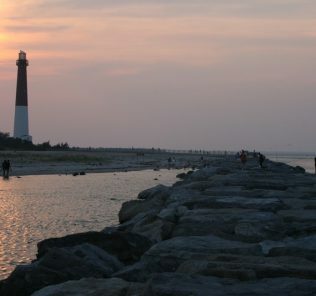 Nearby: Just around the corner are the Maritime Trail and the Jetti Walk, both at Barnegat Light State Park. 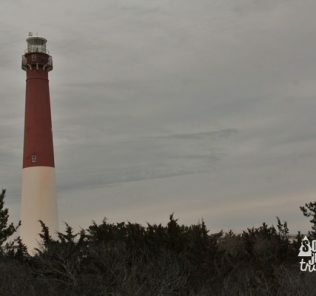 Don’t miss climbing old Barney! 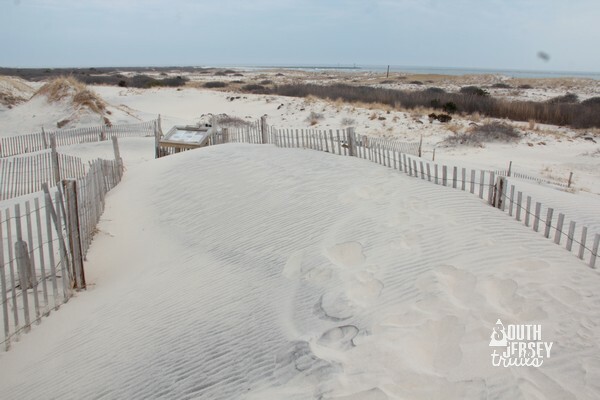 Beautiful views from tops of dunes, a shipwreck buried in the dunes a bit off-trail, easy beach access, and views of Barnegat Lighthouse. 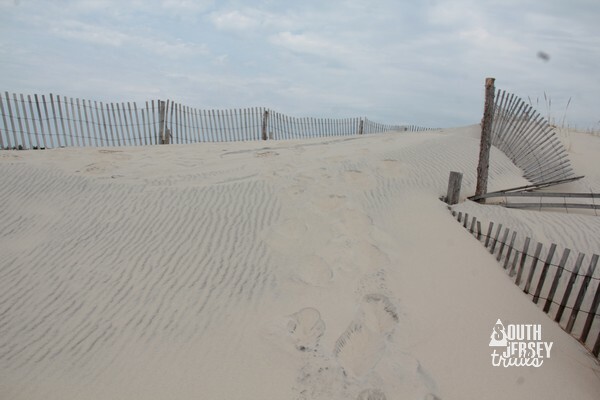 Sand can be hard to walk in, parking will be rough in summer. 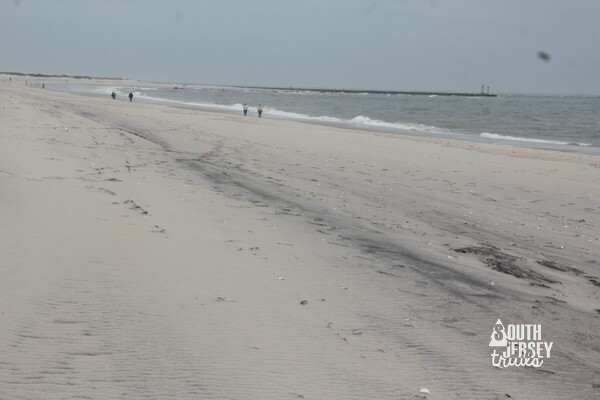 This is a great little trail, and who can pass up seeing a shipwreck?